In the discussion, the team needs to have a conversation on what forms of digital marketing it will take on. What platform to choose for the website? Will it be a lead generation and have e-commerce as an add-on? What about social media and blogging? How will social media be integrated into the website and into the digital marketing activity? Is an email autoresponder required for regular newsletter and lead capture or would a simple contact form suffice? This website creation process is critical to the success of the website. The content created in the form of articles and pictures will be relevant to the mission and goals of the website. Videos too play a very important role as it can go viral and also hold a visitor’s attention. The analytics to measure the website ROI are important and you can use both social media as well as search engine analytics. And all this will be driven by the selection of the keywords. The keyword selection process itself leads to many variations on content and approach to the website, if search engine optimization is important. In a nutshell the project plan will like the flowchart below. The scope of work needs to be ironed out. A kick off meeting to loop in all relevant stakeholders and gain agreement on the goals, roles and activities. 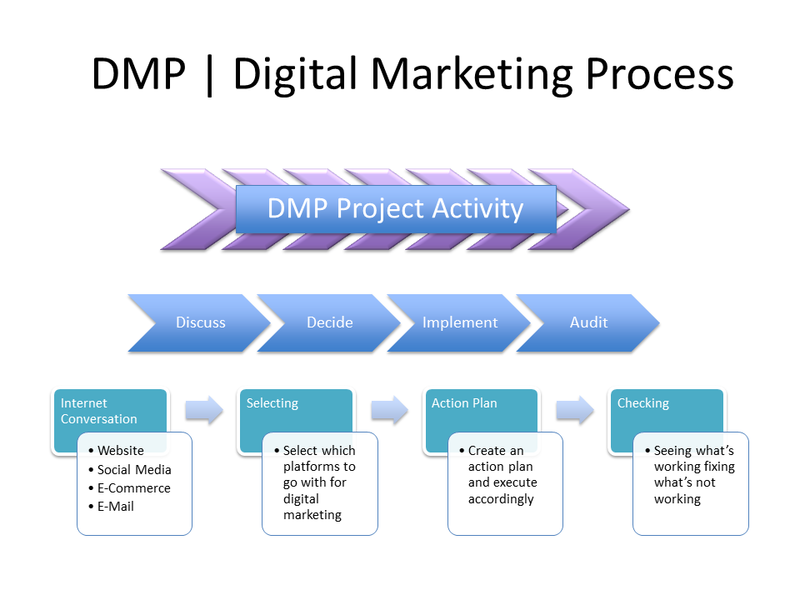 Then coming up with the timelines and the execution plan to work the digital marketing process. Constant reviews of the work in progress plus after the work is done ensures that the plan stays on track to the desired goals. To sum up, the strategy and the digital marketing tactics will need to be crystallised first. Then the process of determining content follows. And then only will the website be built. A shooting from the hip approach in creating the website may work, but many reworks and changes will be made as the digital marketing efforts take root, resulting in a lot of double work. It is best advised to plan the work and then work the plan in order to maximise time, effort and money spent.